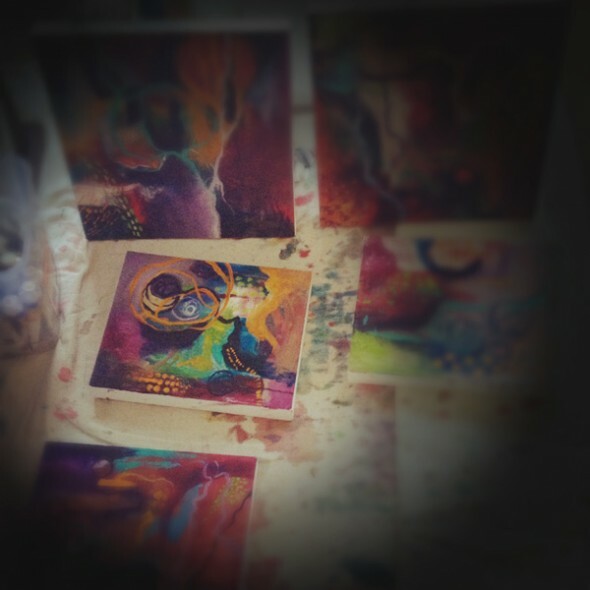 I've been working on small canvases at the same time as the big ones. These little paintings have been little windows of fight to let the light back in. It hopefully has a sense of relaxation about it too. (Besides just being pretty). They may be small but are proving to be just as much of a struggle to bring out their stories and develop their compositions. I've just been following my intuition in sizes and styles. Being free to experiment has been fun! One of the first paintings came together very quickly. Due to my excitement and being so in the flow while painting, I forgot to take photos of the first few layers! LET ME INTRODUCE LACE & SPIRAL. "LACE & SPIRAL (Detail) ©2012 Brenda Mangalore / Sashé Studio"
As you can see, she is a colourful character with strong marks. These first group of paintings were all very full of life. Brimming to overflowing with lots going on. A reflection of my busy few months as we moved home perhaps? I had to exercise some discipline to release (& cover up) the parts I liked to make the details I loved stand out more. To create some containers for the chaos. I can feel the spiralling into the chaos, yet there are little patches - moments of escape & peace in there too. 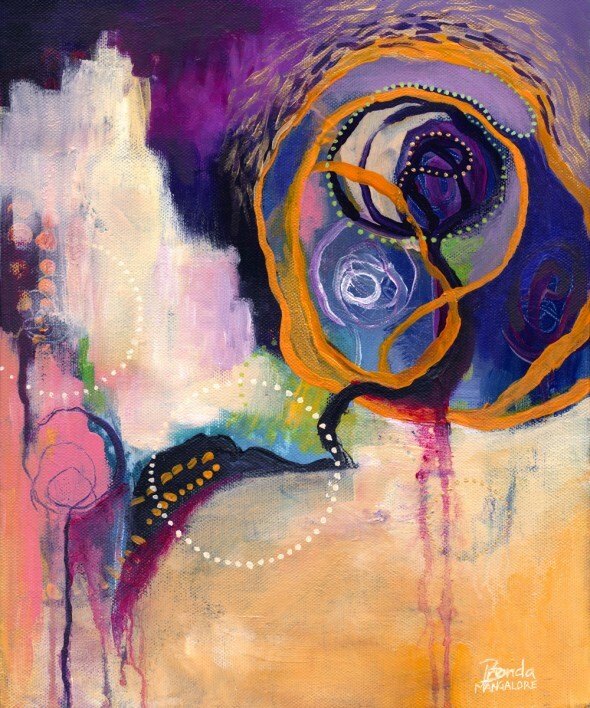 "LACE & SPIRAL Acrylic on Canvas 10 x 12inch ©2012 Brenda Mangalore / Sashé Studio"
Are you feeling the chaos among the moments of peace? Which room would you hang Lace & Spiral?